The Lyric Hammersmith is one of the UK’s leading producing theatres. For more than one hundred and twenty years it has been responsible for creating some of the UK’s most adventurous and acclaimed theatrical work. It has gained a national reputation for its work with and for children and young people and creates pathways into the arts for young talent from all backgrounds, helping to diversify our industry. Recent productions include the smash hit Bugsy Malone, the international tour and co-production with Filter Theatre of A Midsummer Night’s Dream and a new stage adaptation of Sarah Waters’ Tipping the Velvet. 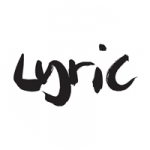 The Lyric’s dual commitment to producing the highest quality contemporary theatre, alongside nurturing the creativity of young people is what makes it unique within the cultural ecology of the UK. It is a local theatre rooted in its community with a national and international reputation for the quality and innovation of its artistic work. In April 2015 the Lyric reopened following a multi-million pound capital project, which saw the addition of the Reuben Foundation Wing housing state-of-the-art facilities for theatre, dance, film, music, digital and more. The ‘new’ Lyric is now the largest creative hub in West London and home to an innovative partnership of like-minded leading arts organisations who work together to deliver lifechanging creative opportunities for thousands of young West Londoners.